Guitar scale trainer and practice buddy. Is there a better alternative to Guitar Jam Tracks? 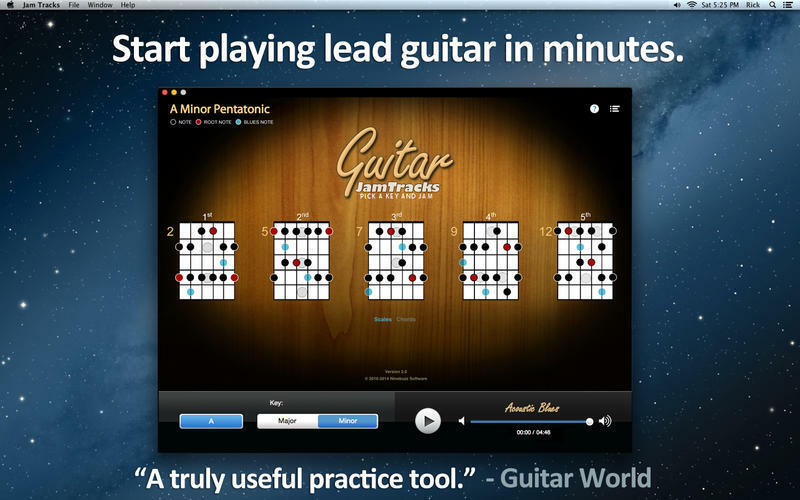 Is Guitar Jam Tracks really the best app in Teaching Tools category? Will Guitar Jam Tracks work good on macOS 10.13.4? Guitar Jam Tracks makes guitar learning fun. Practice jamming, learning scales and soloing to 13 great sounding jam tracks right from your Mac! Our easy-to-read scale charts show you exactly where to put your fingers to start sounding like a pro. See for yourself why thousands of guitarists love our jam track apps! Guitar Jam Tracks needs a review. Be the first to review this app and get the discussion started! Guitar Jam Tracks needs a rating. Be the first to rate this app and get the discussion started!